Venue: Uranquinty Community Hall, Baker Street, Uranquinty. 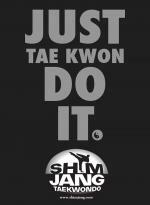 Shim Jang Taekwondo's Uranquinty Centre is operated by 1st Dan and Branch Instructor Jelbert Recta. For further details, please contact Regional Advisor Lee on 0401 285 079. 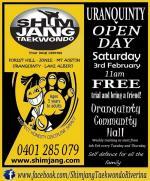 All existing members are welcome along to the Uranquinty class to enjoy a training session, if you are thinking of joining please come along, say hi and take advantage of a FREE TRIAL LESSON ! SATURDAY 3RD FEBRUARY AT 11AM. BRING A FRIEND! Once a Senior Kup member has achieved an acceptable level of skill the Branch instructor may select them for more advanced training, they then enter the WSTA’s special Trainee Instructor Program where they undertake various responsibilities that focus on their ongoing development and future positioning as a WSTA Qualified Black Belt Instructor. Successful candidates have developed a real passion for the teaching, class education and management process. Our dedicated Trainee Instructors are very serious about their ongoing training and martial art development; they devote their time to both teaching and learning at their allocated centre as they learn to facilitate Student Education, Class Management and all other aspects necessary for operating a Shimjang Taekwondo centre. 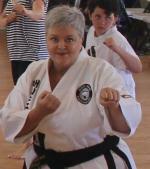 By the time they reach Black Belt level the Trainee Instructor is well equipped to accept future responsibility if and when required.